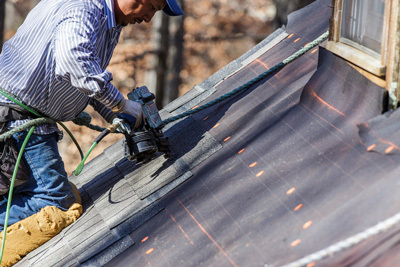 When it comes to roof repair services, there's only one name to trust in the Lincoln area - Universal Roofing! Our team of contractors is not only fully licensed, but we're insured and experienced to help you with your upcoming roofing project! When it comes to our team, we set very high standards and expectations for them so that your home or business is in the absolute best of hands! For the best roof repair services throughout Lincoln, don't hesitate to contact our team today! We're standing by to let you know how we can help with your upcoming roofing project, and how we can help your home or business look brand new! Proudly serving the greater Lincoln and Omaha areas.